Tampa Bay's Victor Hedman scored the game-winning goal in the fourth round of a shootout as the Lightning stretched their winning streak to a season-high nine games with a 4-3 win over the visiting Los Angeles Kings on Monday. 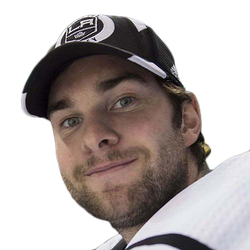 With the shootout tied 2-2, Hedman ripped a shot past Kings goalie Jack Campbell to start the fourth round. 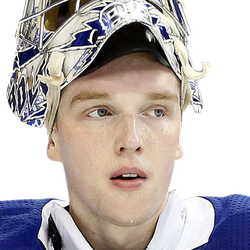 Lightning netminder Andrei Vasilevskiy, who made 30 saves, then stuffed Dustin Brown for the win. Steven Stamkos and Nikita Kucherov also scored for Tampa Bay in the shootout session, while Ilya Kovalchuk and Anze Kopitar tallied for the Kings. Brayden Point, Anthony Cirelli and J.T. Miller netted goals in regulation for the Lightning, who are 11-0-2 in February. Stamkos had a pair of assists. The Lightning (48-11-4) became the fourth team in NHL history to reach the 100-point mark in 63 games or fewer, joining the Montreal Canadiens (1976-77, 1977-78) and Boston Bruins (1971-72). Austin Wagner had a goal and an assist, and Alex Iafallo and Jonny Brodzinski scored for the Kings, who lost their eighth straight (0-5-3). Campbell stopped 31 shots. Dion Phaneuf drew a delay-of-game penalty 55 seconds into the game, and Point capitalized 10 seconds into the man advantage. He deked Campbell on the forehand then backhanded in his 36th goal for a 1-0 lead. Kucherov had an assist on Point's NHL-best 18th power-play tally, pushing Kucherov to 20 points (eight goals, 12 assists) in the past eight games. Cirelli scored seven minutes later when, camped in front of Campbell, he redirected a shot from Braydon Coburn that hopped in for his 12th marker. Los Angeles, which was routed 6-1 by the Florida Panthers on Saturday, had better opportunities in the second period, including its third power play, but Vasilevskiy stood strong. In a wild third period, the teams combined for four goals in a span of 6:44. With Los Angeles trailing 2-0, Iafallo tallied on a two-on-one rush at 5:20 after a rebound bounced in off his leg for his 14th goal. Brodzinski scored his first of the season when he roofed a shot at 10:30, and Wagner popped in a rebound for a 3-2 lead for the Kings, who scored twice in 36 seconds. However, Miller scored just under a minute later to tie it 3-3.